San Diego, CA – UTVUnderground.com today announced the fourth installment of the Polaris RZR-branded, viral film franchise dubbed XP1K4 is currently in production. The announcement comes with the release of the official teaser for XP1K4, which showcases highlights from the first three XP1K videos; ending with some incredible sneak peek shots from the upcoming fourth video. Motorsports directing heavyweights “The Martelli Brothers” and their powerhouse production team Mad Media will once again be producing the new campaign of adrenalized XP1K4 video content, which includes nearly 30 videos, all in support of the main film which drops mid-January. The XP1K viral film series has accrued more than 42 Million aggregate video views across YouTube, Facebook and Instagram so far, and has been watched in more than 70 different countries. 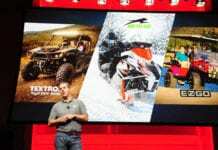 The premium-branded, viral video campaign has made hundreds of millions of impressions worldwide, redefining the sport Utility Vehicle (UTV) and Side-by-Side (SxS) market. 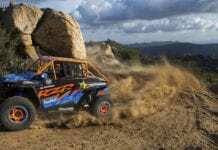 Off-road racing champion RJ Anderson returns to the driver’s seat to perform a myriad of awe-inspiring stunts in a highly modified 2017 Polaris RZR XP® Turbo EPS SxS. This time around, he‘s joined by FMX Champion Jackson “Jacko” Strong. The duo lay down a massive barrage of gravity defying stunts on a custom-built superpark inspired by some of the best motocross tracks in the world. 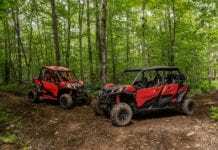 Polaris RZR is joined by RIGID Industries, Rockstar Energy and BFGoodrich as primary sponsors of XP1K4. 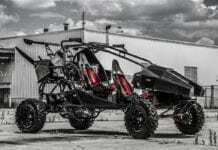 Anderson will pilot the all-new, Tony Vanillo designed, Carr One-built, custom XP1K4 168-horsepower RZR XP Turbo EPS. 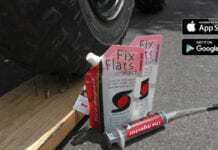 Heavy modifications designed to meet the demands of the project include a Holz Racing Products suspension, front sway bar, front bumper, engine mounts and skid system. The dash cluster features the all-new RacePak iQ3 data-logger, Switch Pros Switch Panel, and Mob Armor Mount with iPad Mini designed for the RZR. Anderson will sit on a custom-made MPI/PRP Alpha containment seat and utilize a PRP 5-point harness and custom XP1K4 MPI steering wheel made specifically for the vehicle. Walker Evans Racing has returned and provides their industry leading shock and wheel packages including Walker Evans Racing: 15″ Bead Lock Wheels, 2.5-inch Velocity Shocks and new Walker sway bar links. RIGID Industries supplied a host of LED lighting products including the new “Chase” rear-facing, multi-function LED light and the new Rigid “Reflect” LED all-in-one light/mirror. BFGoodrich, the biggest name in off-road tires, supplied their all-new “Baja T/A KR2” 30-inch UTV Tires, which provide superior traction and unmatched durability. The entire car is wrapped in custom Mad Media-designed XP1K4 livery printed and installed by Proline Wraps. To learn more about XP1K4 and see all of the videos and photos surrounding campaign visit: www.utvunderground.com. 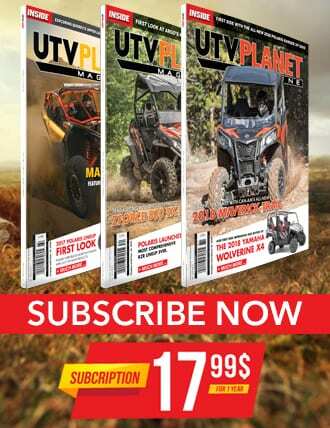 UTVUnderground.com is the worlds fastest growing all-inclusive UTV website, that features content and articles by both enthusiasts and manufacturers alike. In a mere six years, it has become the go-to site for all the latest news and entertainment surrounding the UTV industry. Thousands of monthly visitors from over 100 different countries around the world go to UTVUnderground.com for their daily dose of UV news and information. Mad Media (www.madmedia.com) is a San Diego based marketing and creative agency, with in-house film and television production. They are know for crafting authentic, culturally engaging brand messages, and delivering them across print, web, photography, and film platforms. Mad Media has been leading the online content revolution since 1995 producing major commercial, television, online/viral film projects such as The Gymkhana Series and XP1K Series. RJ Anderson is part of the new breed of off-road racers. Beginning his 4-wheel off-road racing career at the age of 14, RJ is well ahead of the curve. 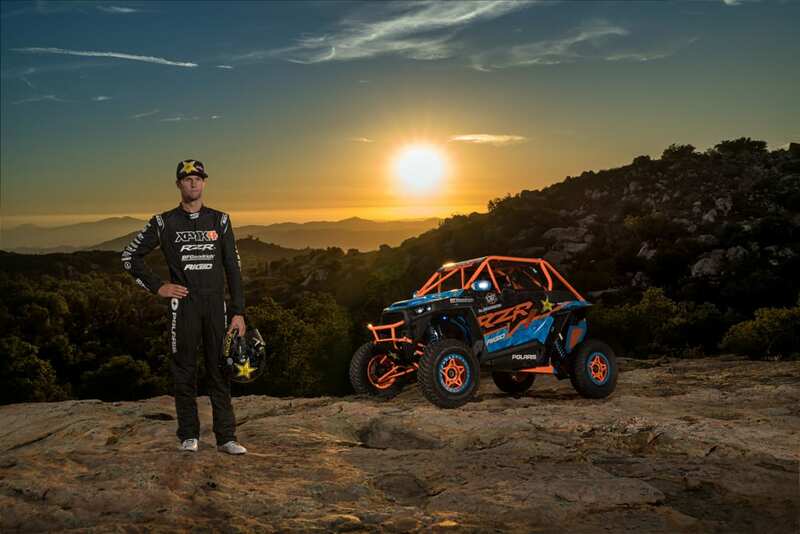 Fast-forward and now at age 23 RJ is a professional short-course racer, Pro UTV champion, Pro UTV Driver Of The Year, Pro UTV Baja 1000 race winner, Super-Lite Challenge Cup Winner, TORC series Rookie Of The Year, Pro-2 Rookie of the year and a Pro-Lite Champion. Racing is what RJ loves to do; working to be the best is a passion for him, and winning is his goal. There is no doubt that RJ Anderson is part of the bright future of off-road racing.